Growing Figs, North & South | Gardens Alive! Q. I want to plant a fig tree or two. When should I plant? And should I plant two different varieties for cross-pollination purposes? A. Almost all figs are self-pollinating, Marc; the only exception I know of is a variety grown in California from which them tasty Fig Newtons are made. But variety choice is important for other reasons, namely the type and color of figs produced and the number of crops you can expect in a season. 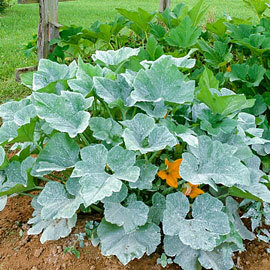 Your warm clime allows you to grow a fairly wide range, including many varieties that can't survive Northern winters. And yet back when I was editor of ORGANIC GARDENING magazine, we quoted a fig grower in nearby Georgia who said his favorites were two hardy varieties that are also the ones most often recommended for Northern growers: "Celeste" and "Northern Brown Turkey". He explained that they reliably produce two crops a year down South; an early crop on the old wood and a late crop on the new growth. Q. Hi Mike: I was listening to your show in the car and had to run into a store. When I got back, you were telling someone how to grow a fig tree from a branch. I missed the first part. 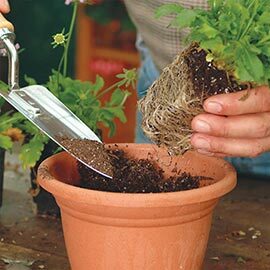 Do you dig out a root or snip off new growth and plant that in compost? I have two trees, but as a fig lover that's not enough, and I'd like to give some to my neighbors. It was probably my typical propagation rap: Take several new green shoots off the plants in Spring and root them in pots in a light, loose soil-free mix with just a little added compost, as figs do not like rich soil. Old Italians (whose cellular structure seems to contain actual fig DNA) tell me they just yank off a branch, shove it in the ground, keep it watered and it's soon growing on it's own. This may work less well for non-Italians. Back when I was at Rodale Press, one of the company's most talented gardeners, Pat Corpora, would use a sharp shovel to slice a young shoot away from the root mass of an existing tree and plant the shoot directly in the ground. No matter what, be careful NOT to plant shoots, cuttings or purchased trees in rich soil or fertilize the plants more than lightly. Figs produce best in relatively poor soil; a little compost is all they need. Q: Hey Mike! We planted a Celeste Fig in August of '07. I didn't 'wrap' the tree but I did string up the branches, place a large tomato cage over it and stuffed the cage with leaves. Will this do the trick, or do I need to perform further magic? Thanks. Mike: I grew up in the South, where I enjoyed our hugely productive figs every summer. Then I fell in love with a Jersey girl and thought my fig days were done. But my wife's Italian family says that you can grow them here with special care, like wrapping them in roofing paper or building "fig houses". So I bought a Turkey Fig two years ago, planted it on the south side of an aluminum shed in the back yard, and wrapped it in cloth and plastic. It froze, but luckily it came back from the roots. I know the fruit only sets on the prior year's growth, so how can I protect my fig better this year? Thanks. A. Actually Jim, only some varieties are limited to producing what's called 'the breba crop' on the previous year's wood. If your "Turkey" is an English Brown type, it's a 'current season producer'. But you may need to move your tree to help it produce that end of the year crop. Northern figs should be planted in the most protected spot available, preferably close to the wall of a house; never out in the open. In the heat sink of a big city like Philly, well-positioned plants can often survive winter with little or no protection. (Especially when grown by Italians.) Luckily, as you found, the roots almost always survive mistakes. But you need more than the roots to make it through the Winter if you want to get ripe fruit that Fall. A 'fig house' is framing to which wall and roof panels are attached in the Fall and removed in the Spring. The fig inside is protected from the worst of winter and the framing can be used to support netting when fig-loving birds discover the ripe crop. Roping the branches close to the trunk and wrapping the whole schmageggie in burlap or tarpaper is also popular. That big cage full of leaves described by our Philly listener might work; if mice don't hide inside and eat the tasty bark. Just don't use any kind of plastic; it can smother the tree, hold too much moisture and cook the tree on a sunny day. Figs can also be grown in big containers and rolled into a cool basement or garage for the winter. But some Northern growers prefer to bury their trees in the fall. They soak the soil, rock the plant loose, push it down into a trench, fill in around it with shredded leaves, cover it with wood or old carpet and then pile the soil from the trench over top. In the Spring, the trees are resurrected, replanted, given a nice mulch of compost and watered well until new growth appears. Jimbo: Ask your wife's Italian relatives to help you bury your tree this fall! This will insure the survival of the plant, and those relatives will speak well of you all winter long.